BOOK THE SL ENQUIRER'S LUXURY YACHT VENUE FOR YOUR NEXT EVENT! 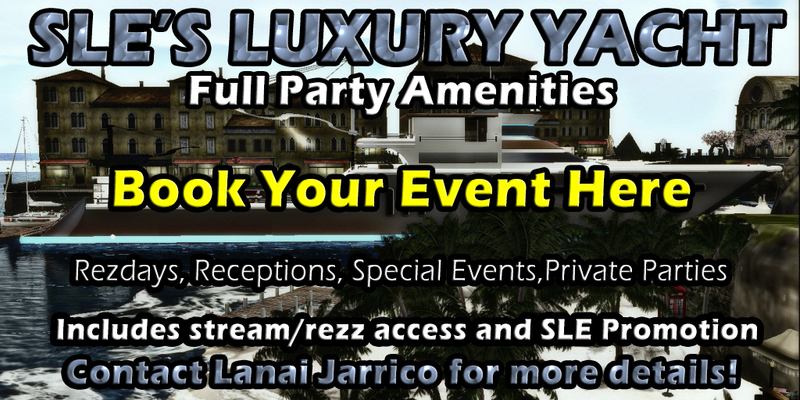 FREE FULLY LOADED PARTY ACCESS! Have you ever wanted to host exclusive events and live entertainment but could not afford the cost of a venue? Now is a chance for you and your friends to test the waters of running a venue with all the bells and whistle! 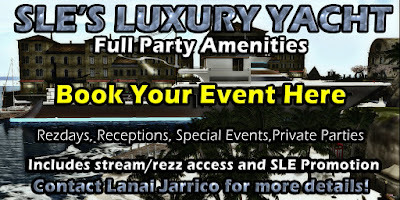 Includes: Fully Loaded Yacht Access,stream/Rezz rights, DJ Booth/Stage, dance floor, dance balls, promotional assistance! Did we mention using the SL Enquirer to Promote ALL YOUR PARTIES for FREE!?! What's the catch? Uuuuhhh just show up and throw parties! We don't want your lindens or donations YOU generate, we just want traffic at our sim! Contact Lanai jarrico if you are interested in this fun opportunity! the sle yacht is very impressive!